In addition to his work in animation he has been a devoted toy producer who has been working in the boy’s toy business at Bandai Co. LTD (Japan) for more than 20 years as a toy designer and planner. While working for them he was responsible of creating and designing heroes and robots, vehicles and weapons for kids’ TV series and turning them into toys. Most boys in Japan around the ages of 3-6 years old loved and cherished his toy creations, but also was inspired, highly encouraged by his cool unique characters – it was a boys dream come to life! 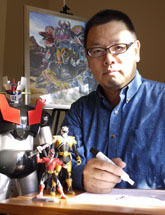 His masterpieces include the Toei Metal Hero Series and Super Sentai Series (Power Rangers). Needless to say that Tsuyoshi is known as the original designer of Mighty Morphin Power Rangers (Kyoryu Sentai Zyu-Ranger in Japan) as well as several Kamen Rider series. In addition, he has created a successful toy series brand for adults in Japan called Chogokin-Damashii (Soul of Chogokin) and recreated his childhood favorite character Mazinger Z (Tranzor Z) as part of collectible die-cast robot toy series targeted for the high-end collector market. In 2011, he shifted his creative base from Asia to North America where he has become the head of “PLEX International Design, US division” working on toy designs for Power Rangers, Ben 10 and other properties for Bandai America Inc. (Cypress CA). This past August, Nonaka was in his element when he showed off his skills during an impromptu drawing demonstration at Power Morphicon 2012. He dazzled the crowd with the designs he originated. 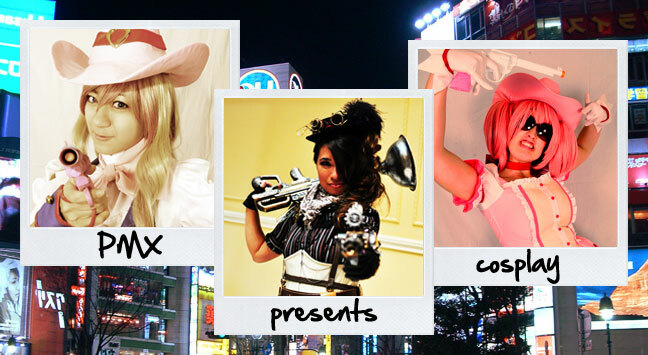 Mr. Nonaka will be participating in a focus panel and autograph session. This will be his second appearance at Pacific Media Expo.